Are You Prepared to Answer this Important Question for Your Clients? With one of the greatest wealth transfers in history upon us, this is a time of tremendous opportunity for financial professionals. But with that, comes tremendous responsibility. You have a lot to consider when making recommendations to your clients on their retirement and wealth transfer strategies. One of the big questions clients face is —Should I invest directly in the market, or not? The answer often hinges on perceived overall tax benefit of each option and the impact on their beneficiaries. To prepare for this question, it’s important to be aware of avenues available to them and the tax treatment of each. Keep reading as we look at two sides. Non-retirement assets, also known as non-qualified assets, such as stocks, bonds, mutual funds, and real estate receive special tax treatment when passed from one generation to the next. Generally speaking, if a client inherits this type of asset that’s appreciated in value, they would get an automatic step-up in cost basis. Cost basis is the dollar amount the owner paid for the asset. Any gain above cost basis is taxable. If assets are held for 12 months or longer, the owner would pay long-term capital gains rates. If assets are held for less than 12 months, the owner generally pays short term capital gains. Should a client sell assets before their death? Consider this hypothetical example: A client owns shares in company XYZ worth $500,000 with a cost basis of $100,000. They die without selling, so the beneficiaries inherit those shares of company XYZ worth $500,000, but they would NOT pay taxes on $400,000 in gain. Because at the client’s death, the property (stock in this example) receives a step-up in basis to the market value as of the date of death. The beneficiary would inherit $500,000 of company XYZ stock and the new basis would be $500,000, or $500 per share. “For those nearing the end of life, selling highly appreciated assets (like company stock or real estate) may be a mistake unless market conditions favor a sale. This is especially true if the intention is to pass the wealth to the next generation. It may be better for everyone involved to hold on to the appreciated asset and allow the beneficiaries to receive it with a stepped-up basis at death,” says Mark Triplett, CEO of Triplett-Westendorf Financial Group. For the beneficiaries to receive the step-up in basis, the executor or heirs must report the death and provide a death certificate so the financial institution can track and adjust for the step-up in cost basis, or risk the beneficiaries potentially paying unnecessary capital gains taxes. For additional information regarding the step-up in basis at death, refer to IRC Sec. 1014(a). The step-up in basis doesn’t always happen and in fact, it’s alarming how often cost basis is not reported correctly. Having this knowledge when advising your clients can be a huge value-add to the services you provide. While you’re discussing retirement strategies and wealth transfer with your client, placing funds in a non-qualified annuity might be another option to consider. A non-qualified annuity would also have cost basis consisting of the premium used to purchase the annuity and could accumulate interest via index credits, which unlike a stock portfolio, would grow tax-deferred until the interest is withdrawn. Any “gains” in an annuity are distributed first and are taxable, followed by the principal. So, your clients avoid paying taxes on their indexed interest every year, however, when distributed they would be taxed as ordinary income. Also, an annuity avoids the step-up rule that applies to the non-retirement assets and the potential pitfalls of that. What happens if a non-qualified annuity owner dies? Some carriers may not allow a non-qualified “stretch”, but that’s where a trusted IMO partner can help match the appropriate carrier to your clients’ needs. For additional information regarding non-qualified stretch, refer to IRC Section 72(s)(2). Another possible benefit? An annuity is a non-probate asset meaning that when the client dies, their beneficiary receives the death benefit generally shortly after. This avoids the probate process which can be time-consuming and costly. The financial professionals we partner with share the same goal—they want to stand out from others in our industry by having knowledge that can help their clients answer those difficult questions centered around—What should I do? We’ve just scratched the surface of information you should have when discussing retirement strategy and wealth transfer with your clients. 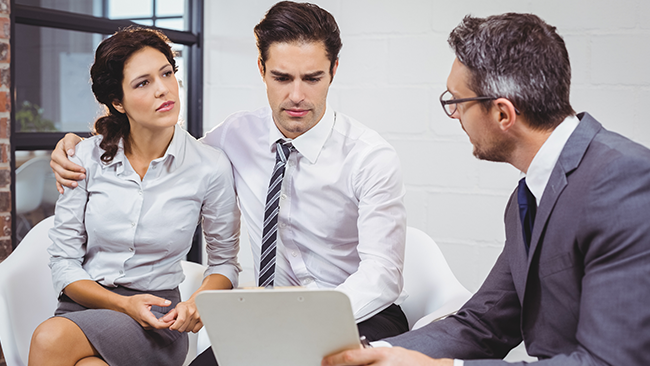 Partners Advantage can help provide additional tools to help you guide your clients through these often-complicated scenarios as well as help their beneficiaries proactively avoid problems. If you could use some support with analyzing various products to make informed recommendations to your clients as well as find the right balance for their portfolio, schedule a call with a member of our team! Partners Advantage - A Gallagher Company; 4204 Riverwalk Pkwy, Ste 300, Riverside, CA 92505. For Licensed Insurance Agent Use Only. Not for use in solicitation or advertising to the public.